Still bored by the complexity of managing Android device and look for a more comfortable solution? The best answer is TunesBro Manager. It has tons of features for device management. Most importantly, the task can be done in less than 5 clicks on a computer. There is no such an app or software like TunesBro Android Manager that offers all the functions you need to manage your Android device in a convenient way. This superb toolkit contacts a variety of modules for device management, including file transfer, backup & restore, root, data recovery, data erasing and screen capture. 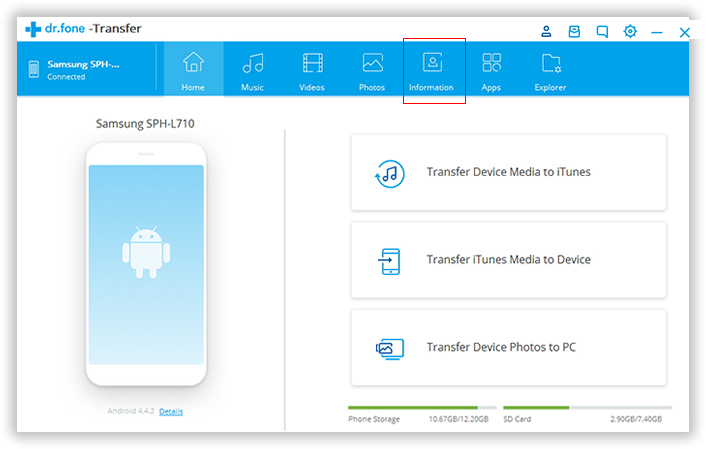 Transfer all kinds of separated items on your Android phone to a PC or Mac computer. 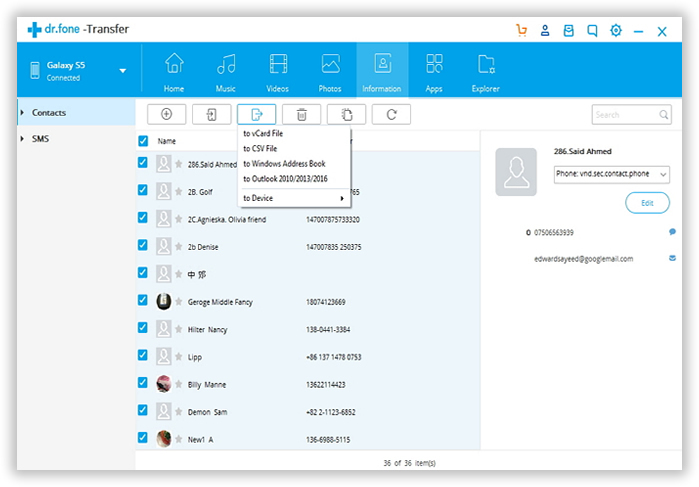 Add new, edit existing contacts and SMS via PC. Even for sending text messages. Built-in with a powerful rooting engine, it can root 2000+ Android devices in 1 click. Software is made for the usage of human beings. So user satisfaction is the most important thing that bears in our mind. No matter you are a computer novice or tech guru, you don't need to take time to learn how to use this program because you will know how to operate it at the first glance. Data backup is an essential task we can't forget. 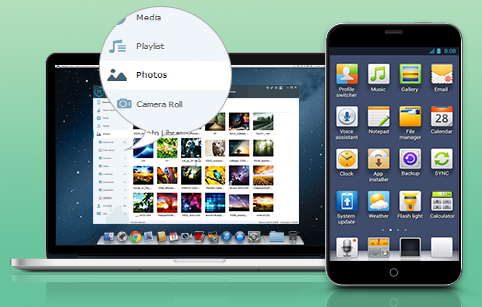 TunesBro Android Manager makes it extremely easy to backup individual items on Android to PC or Mac. 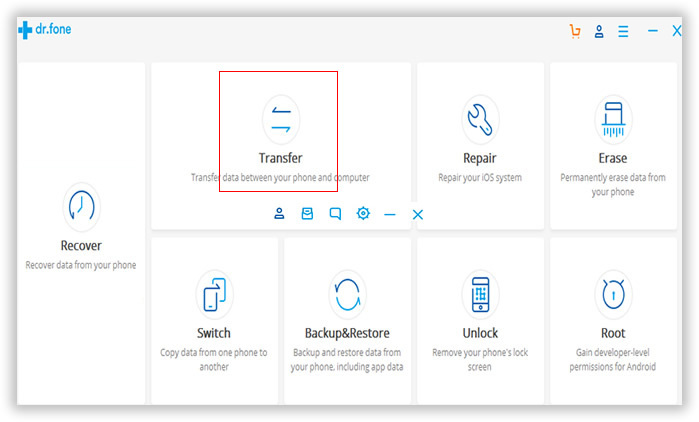 This ensures all your important data kept in a safe place and you can restore them immediately when you accidentally delete it or damaged due to system issues. One of the main features that Android Manager stands out from other apps is the file support. It supports all the file types on Android for data backup. So you can backup them in one place within the app. The fact is that there is no need to backup all the files to computer, as there might be junk and tmp files on the phone. Only important files or data is worth for backup. This works in most of the situations. TunesBro Android Manager offers users a nice way to view each item before transfer. Only selected items will be transferred to PC. This partial backup solution saves more storage and speeds up the backup process. Smartphone and table powered by Android 2.0 to 7.0 are well supported by TunesBro Android Manager, including the lastest models. Galaxy S8, S7, S6, S5, S4, S3, Note 5, Note 4, Note 3 etc. One U11, 10, M9, M8, M7, A9, E8, Desire EYE/510/520 etc. G6, V20, G5, G5 SE, V10, K10, G4, G3, G2, G Flex 2, G Pro etc. Moto Z, Moto X Pure, Moto X, Moto G, Moto E, Moto G Plus etc. Pixel, Pixel XL, Nexus 6P, Nexus 5X, Nexus 7, Nexus 10, Nexus 4 etc. Xperia XZ, UA, XA, X, Z5, Z4, Z3, Z1, C4, M5, M4, E4, etc. "I switched form iPhone two weeks ago and search for app similar to iTunes to manage my Android phone via PC because this is more efficient than doing it on my screen-limited smartphone. Android Manager has all the features I am looking for. Now, my life becomes much more easier." All products have passed virtual scan testing. All transctions are protected by SSL. 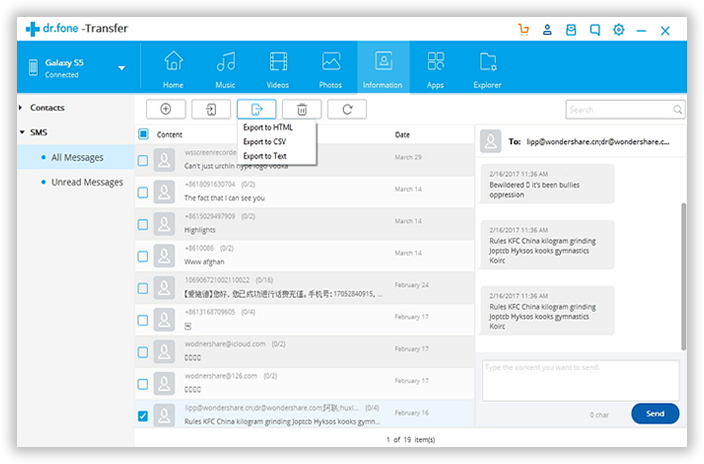 Already helped thousands of users solve their problem about Android device management. Support Email will be answered within 24 hours including weekend and public holidays.